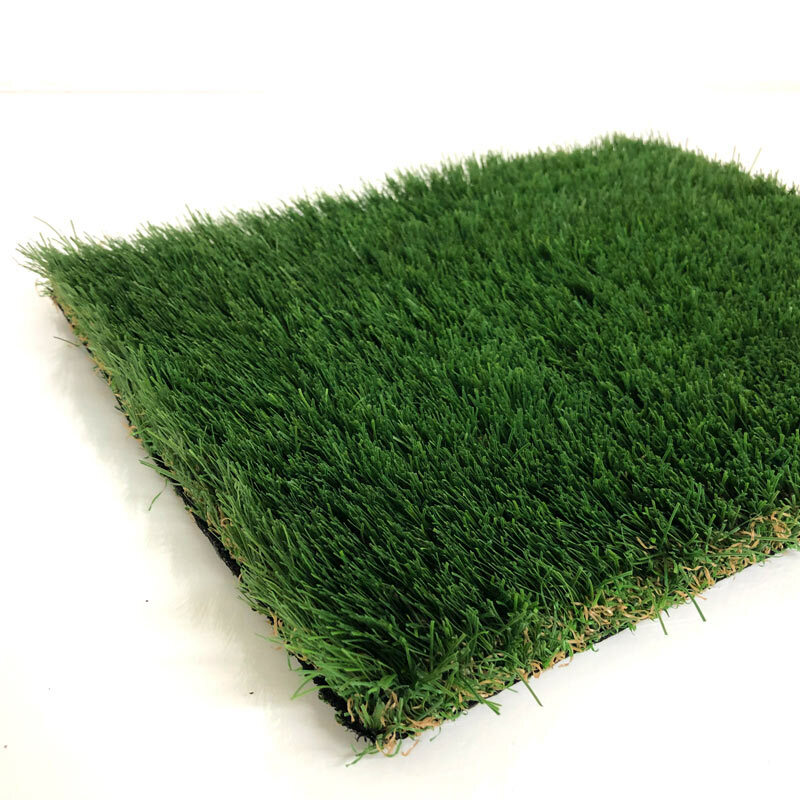 It weighs in at a whopping 2.8kg / m² making it dense and spongy , ideal for well used lawns! The straight yarn used is S-Shaped improved recovery after use. It uses 2 shades of organic greens and a straw curly thatch giving the pile extra support and added realism.